He’s the biggest name on Broadway in a generation, and one of the most admired multi-hyphenates in show business since Orson Welles. He’s also an activist. The composer, lyricist, librettist, and star of Hamilton, the hottest ticket on the Great White Way in recent years, Lin-Manuel Miranda has supported a number of the left-wing causes to which famous performers are inclined to flock. But so be it. That’s nothing unusual. What is rather special, as David Hines noted in a December article for The Federalist, is that Miranda is “an avid supporter of the Puerto Rican nationalist terrorist Oscar López Rivera, ringleader of the 1970s terrorist group FALN (Fuerzas Armadas de Liberación Nacional Puertorriqueña / Armed Forces of Puerto Rican National Liberation), which murdered at least five and probably six innocent New Yorkers.” There is no decent way of defending their action. López and his followers were not just Puerto Rican nationalists; they were Communists who wanted to free Puerto Rico in order to turn it into a carbon copy of Castro’s Cuba. López was sentenced to 55 years in prison, only to be released by President Obama at the end of his presidency in late 2016. López went on to be celebrated as a hero. He was, as we noted at this website, honored at last year’s Puerto Rican Day parade, an action that led several politicians and corporate sponsors of the parade to back out, along with many ordinary Puerto Ricans who were appalled at the apparent hijacking of their day, and their event, by supporters of Communist terrorism. Mayor Bill de Blasio, however, marched in the parade as scheduled. How did López come to be the hero of last year’s parade? Among the top figures behind this disgraceful action were New York City Council speaker Melissa Mark-Viverito and her aide Luis Miranda. And who is Luis Miranda? None other than the father of Mr. Broadway himself. The first four names are those of the innocent people whom López and his crew killed in a bombing at New York’s legendary Fraunces Tavern on January 24, 1975; the fifth, Steinberg, died in another bombing two years later. Reporters Tracey Eaton and Katherine Lewin didn’t pull any punches. They talked to one Rafael Álvarez, who “was up at 6:30 a.m. to warm milk for his baby daughter when he heard the sound of pebbles falling.” Next thing he knew, in his words, “the floor below us came loose. We were left hanging in the air, then fell into the abyss.” He ended up “buried in rubble to his waist.” But he was the lucky one. He lost his mother, daughter, and two others in the collapse of his apartment building. It was 101 years old. And they talked to others. Plenty of others. They provided statistics showing that these anecdotes were only the tip of a massive iceberg. “In Havana,” they wrote, “some of the same architectural gems that draw tens of thousands of American tourists crash to the ground every year.” Their piece amounted to a powerful indictment of Communism. Except for the fact that Eaton and Lewin didn’t really focus on Communism as the ultimate cause of all this decay. No, when it came to causes they turned coy. Here, in fact, is how they put it: “Causes [for all these building collapses] range from weather and neglect to faulty renovations and theft of structural beams.” Well, yes, those may be the immediate causes. But the reason why these “architectural gems” haven’t been properly maintained over the decades – or torn down and replaced by safer structures – is, quite simply, Communism. If you’d taken a stroll around East Berlin just before the Wall fell, you’d have seen the same kind of miserable dilapidation – derelict blocks of flats that had pieces missing and in which you could still see bullet holes dating back to World War II. Venezuela, of course, is headed down the same road. Meanwhile in the U.S., we have a younger generation that’s been brainwashed into thinking that socialism is just dandy and that is sending the likes of Alexandria Ocasio-Cortez to Washington. 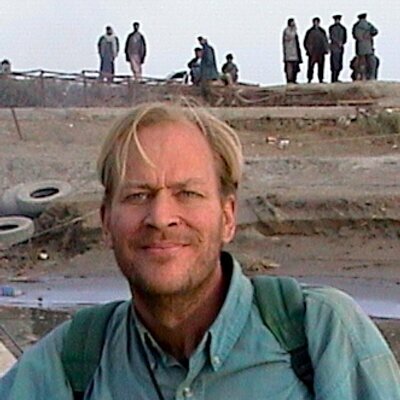 Congratulations to USA Today, then, for documenting the dire consequences of Communism, but please: next time, be more up front about what’s really behind all this deadly disrepair. When South Koreans hear the word “chaebol,” which refers to the massive, family-run conglomerates that dominate their economy, they think about power, money, and corruption. They also think about the children of the chaebol CEOs, those princes and princesses who – not to overgeneralize – are often notoriously spoiled and inclined to abuse underlings. Just last week we recalled the infamous “nut rage” case of 2014, when Heather Cho, daughter of the chairman of the Hanjin Group, ordered a Korean Air flight (Hanjin owns the airline) back to the gate at JFK because she’d been served macadamia nuts in a bag rather than on a dish. This is only one of many such episodes that, for many ordinary South Korean citizens, have underscored the excessive degree of privilege that, in their view, poisons the chaebol dynasties. On November 24 came another such story. According to the Straits Times, the ten-year-old daughter of Bang Jung-oh, president of the cable network TV Chosun, had been recorded some weeks earlier “verbally attacking and threatening” her chauffeur, a man in his fifties. Just wondering: do bratty American ten-year-olds come up with such bizarre insults? Or is this sort of thing unique to South Korea? Just a bit more. “Hey, your parents taught you wrong,” she taunted. “All of your family members taught you wrong.” And here’s the coup de grace: “I really hate you. I want you to die. It’s my wish.” Charming child. 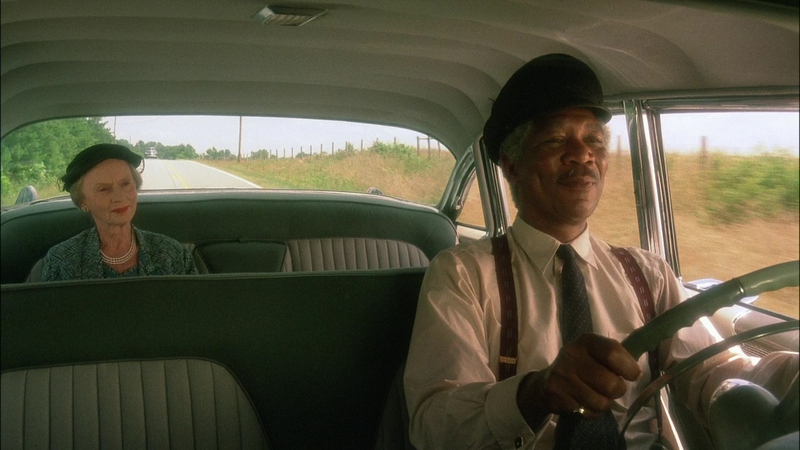 In fact, the chauffeur did end up being fired. In October. Without any explanation. Then, in November, MBC TV released a recording of the girl’s rant. The worm turned. Her father – who, by the way, is the younger son of Bang Sang-hoon, president of South Korea’s largest daily, Chosun Ilbo – not only apologized to the chauffeur but announced his resignation. So he’s out of a job. No word as to whether the chauffeur found new employment. Let’s just hope the child was appropriately punished and taught something about respect. We’re not betting on that one, though. Among the new Members of the U.S. Congress elected on November 6 is one Ilhan Omar. Previously, she was a member of the Minnesota House of Representatives. She was the first Somali American legislator to hold elective office in the U.S. She is now the first Somali American in the U.S. House. 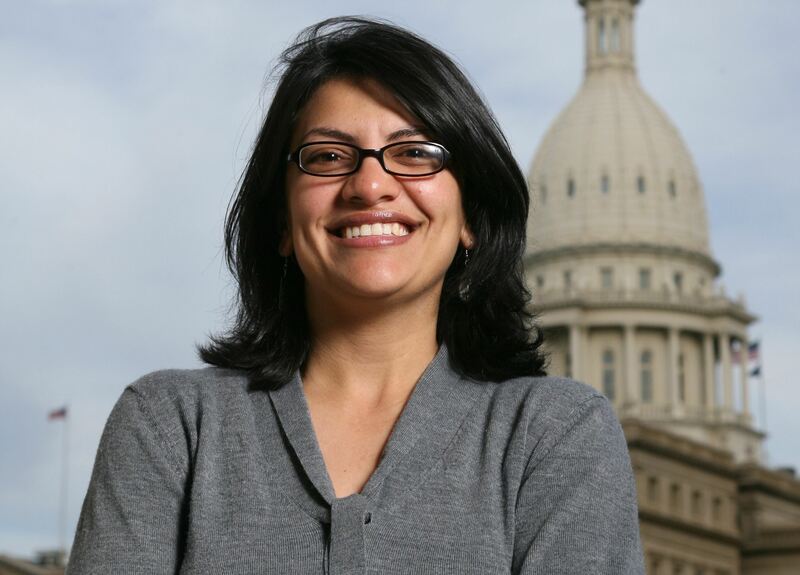 She and Rashida Tlaib, who was elected to the House on the same day, are the first Muslim women in the U.S. Congress. Representing a district that includes Minneapolis and several smaller cities, Omar will succeed another Muslim, Keith Ellison, who left Congress in order to run for State Attorney General of Minnesota, a race that he, too, won. 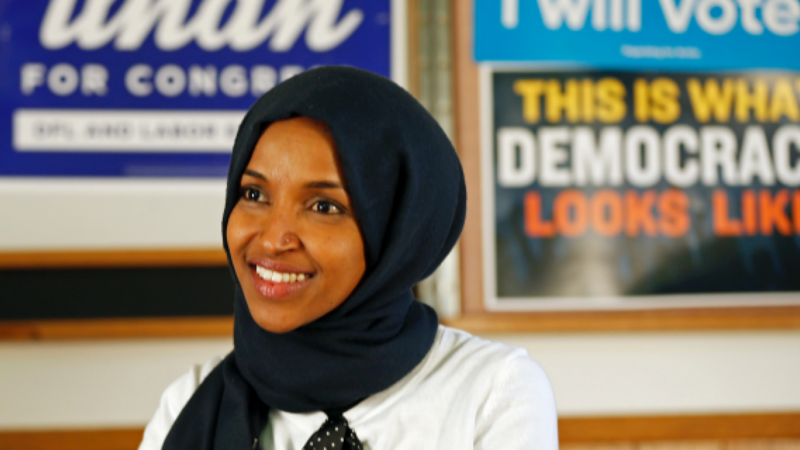 Now 37 years old, Omar denied during her campaign – specifically, at an August debate at a synagogue – that she supports the boycott, divestment, and sanctions (BDS) movement against Israel. This was not a minor question, since her district, the fifth, has a sizable Jewish population. It is also by far the most Democratic district in the state, and has not voted for a Republican since 1960. Since her election, however, Omar has come out of the BDS closet. After the news came out, Avi Olitzsky, the rabbi who sponsored that August debate, expressed the hope that he could “have a dialogue with her” and thus clarify her stance. Ah, dialogue. Credulous persons who have had pleasant encounters with this or that individual Muslim are often shocked to find that that individual actually believes certain things that don’t seem terribly pleasant at all. Their initial response is often to assume that there has to be some kind of misunderstanding, because, after all, the Muslim in question seems so charming. Surely a brief friendly talk will clear it all up. Such, alas, is the way in which many Westerners are forced to confront the largely dark reality of Islamic belief. A halfway sensible observer might have guessed from all this that Omar is, indeed, a BDS advocate, but all too many voters – especially, perhaps, in places like Minnesota, which is known for its “niceness” – are eager to dismiss such suspicions as the product of subconscious Islamophobia, for, after all, such a lovely young woman could not possibly hold such ugly thoughts. Despite the evidence that Omar is, in fact, a nasty piece of work, the national media ran predictably glowing profiles of her, with a particularly hagiographic one appearing in The New Yorker. On Election Day, Omar won her House seat with a remarkable 78% of the vote. This, then, is the new representative whom the voters of Minneapolis and environs have chosen to send to Washington, and will have to live with for the next two years. 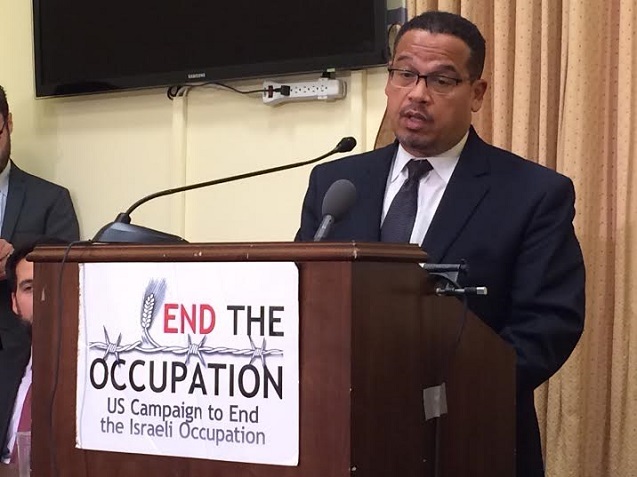 Perhaps her constituents can take comfort in the fact that, so far anyway, there is no sign that she is any more virulent an anti-Semite than Ellison, whose longtime ties with Nation of Islam leader Louis Farrakhan, perhaps the nation’s most prominent Jew-hater, did not prevent him from being re-elected to Congress five times.